Meghan Markle was photographed wearing a gold necklace with the initials ‘H’ and ‘M’ while shopping for flowers and groceries just a few days ago. 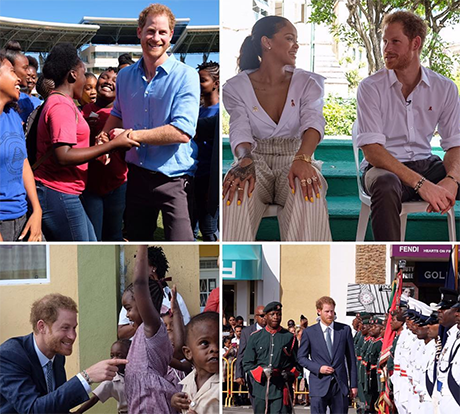 It is believed the actress and Prince Harry enjoyed a secret rendezvous in Toronto following Harry’s 15-day tour of the Caribbean on behalf of Queen Elizabeth. Prince Harry reportedly broke protocol, cancelled his flight home to Britain, and, instead, purchased a ticket to Toronto to visit Meghan where the actress is on location filming the USA drama ‘Suits’. The couple allegedly spent only 48 hours together before Harry returned home to participate in the ICAP Charity Day held on Wednesday, December 7. It’s not an expensive necklace, especially by Royal standards. Reportedly, the slim gold chain with one initial costs about $240 American dollars. The cost of the second initial set the ginger-haired prince back an additional $60 American dollars. The Daily Mail contacted a representative for the jewelry designer’s company. 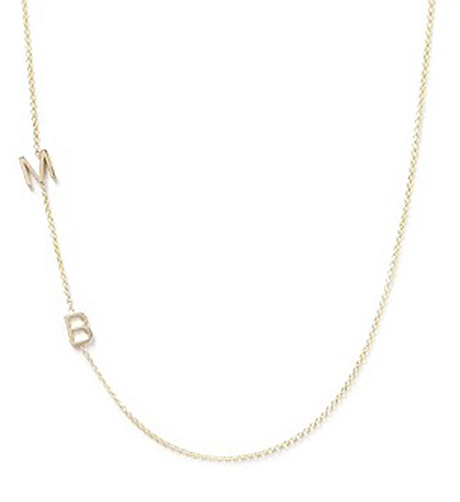 A spokeswoman confirmed that Meghan was wearing an “asymmetrical Letter and number necklace,” designed by Maya Brenner. The necklace is available in white, yellow, or rose gold. 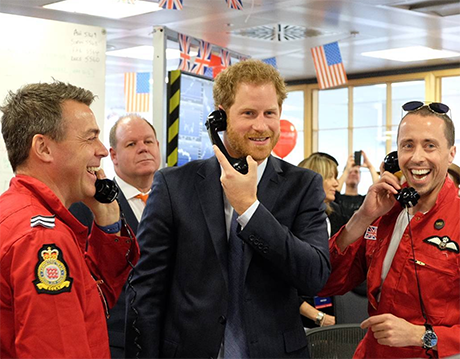 Harry must be saving the big money for Meghan’s engagement ring. Prince Harry acknowledged the relationship with Meghan Markle in a press release made through Buckingham Palace early in November. It was an unprecedented move as Royals are not in the habit of commenting on their personal affairs. 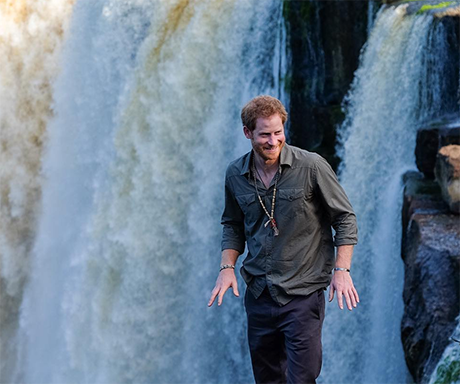 Harry felt it was necessary to address the romance with Meghan because the prince was concerned about the actress’s safety. Prince William felt it was necessary to issue a press release of his own in support of Harry’s decision to protect Meghan. Either Kate Middleton is excited about the prospect of Prince Harry and Meghan Markle’s much anticipated engagement announcement or Kate Middleton is seething with jealousy. 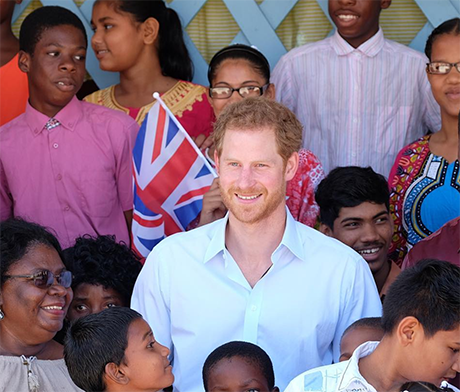 Meghan has already been compared to Princess Diana for her humanitarian work. Also, Meghan has Hollywood connections, something Kate has always craved. The Duchess of Cambridge has desperately desired the shallow Hollywood lifestyle Meghan enjoys. This should be an interesting Christmas at Sandringham for Queen Elizabeth and Kate Middleton. Normally, girlfriends are not invited to spend the holidays with the Royal Family. If Meghan Markle shows up at Sandringham, a Royal engagement will surely follow, don’t you think? Keep checking CDL for all your royal news. Kate Middleton Desperate To Befriend Prince Harry’s Girlfriend Meghan Markle: Covets Her Top Hollywood Connections!